We are a specialized manufacturer of large reference artifacts made of carbon fiber composite material. The most typical are ball bars of 1.5m to 5.0m in length. 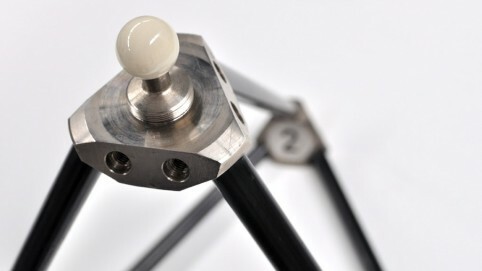 These ball bars are just a few of the commercially available artifacts that verify large coordinate measuring machines (see standards for CMM performance evaluation: VDI 2617/2.3; new draft of ISO 10360/2) and machine tools. Innovalia Metrology also manufactures 2-dimensional and 3-dimensional ball artifacts up to 1.5m corner to corner spacing. 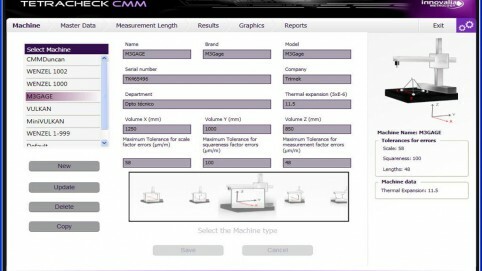 Our specialties include tetrahedrons and cubes with which extremely fast interim checks of CMMs can be performed. A check in less than 10 minutes is possible (mounting, aligning, measuring and evaluating).